Alexander Orlov became the orchestra’s first director in 1930 and is credited with developing a diverse and voluminous repertoire. From 1937 to the present, a series of outstanding directors have contributed to the orchestra’s distinctive artistic style and personality: Nikolay Glovanov from 1937—1953, Alexander Gauk from 1953—1961, and Gennady Rozhdestvensky from 1961—1974. In 1974, Vladimir Fedoseyev assumed leadership, and turned the orchestra into one of Russia’s most widely acclaimed ensembles. In 1993 the orchestra was renamed by decree of the Russian Ministry of Culture and became theTchaikovsky Symphony Orchestra of Moscow Radio. Awarding the orchestra the name of this great Russian composer was a recognition of the orchestra’s role in promoting all symphonic repertoire written by Tchaikovsky — from chamber compositions to operas and cantatas. The Tchaikovsky Symphony Orchestra of Moscow Radio traditionally participates in the legendary international Tchaikovsky Competition and the Rachmaninov International piano competition in Los Angeles. It is a frequent guest at festivals such as the Vienna Klangbogen, the Beethovenfest in Bonn, the Brucknerfest in Linz, Salzburg Mozart Festival, Bregenz, the Menuhin Festival in Gstaad, the festival of Modern Music in Paris, the Grieg Festival in Bergen, Rheingau Festival, festivals in Hong Kong and Tokyo. Last seasons the orchestra gave a brilliant series of performances at the prestigious festival of Shostakovich’s music (Zurich), the International Arts Festival „Meet in Beijing“, Diaghilev Festival (Holland), Budapest Spring Festival at the opening of the new Budapest Palace of the Arts, and the Edinburgh International Festival where the orchestra been awarded by special prize — Herald Angel award. Fedoseyev’s attitude towards the musicians of the orchestra, his aspiration to make each of them a musician at the highest level, resulted in many of the orchestra’s musicians performing as soloists, both with their own orchestra and other Russian and foreign symphony orchestras. Since 1997, the orchestra and Vladimir Fedoseyev have renewed in Moscow a generous historical tradition of organising special public season subscriptions which allow enable access to concerts by one and all at modest prices. 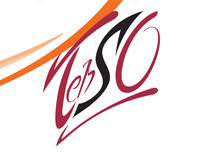 Vladimir Fedoseyev and the Moscow Radio Symphony Orchestra have recorded extensively for a variety of labels including Ariola, JVC, Musica, Philips, Pony Canyon, Sony Classical and Relief. Among the orchestra’s recordings released in many countries are its critically acclaimed renditions of Mussorgsky’s Boris Godunov, all of Tchaikosvky’s symphonies, all Brahms symphonies and all Shostakovich’s symphonies. The orchestra has also recorded a considerable amount of opera and ballet. Their recording of Rimsky Korsakov’s May Night was awarded the Gold Orpheus Prize of the French National Recording Academy. The Orchestra’s 75 year artistic life never stops even for a day. In 2003 the orchestra gave concerts throughout Great Britain, including London’s Royal Festival Hall, and at Vienna’s Musikverein, in spring of 2004 they toured Japan and China. In the season 2005—2006 the orchestra returning a 75th anniversary jubilee tour to Switzerland, Austria, Germany, France, Holland, Japan, Korea and China. Its anniversary programmes take place in major European concert halls and includes such works as Mahler’s 8th Symphony, Oratorio Pathetique by Sviridov, Shostakovich’s 4th and 8th Symphony. An uncial phenomenon in a modern Russian musical culture became orchestra’s festival dedicated to it is 75th anniversary. This festival was held under unusual for symphonic concerts name — „FAITH, HOPE, LOVE…“ Seven concerts in central concert halls of Moscow and in Musikverein, seven creative portraits of the orchestra, seven pages into the music history. „The art of the orchestra is cathedral, it must unite and in this its great joy and great difficulty“ — these word of Vladimir Fedoseyev explain the essence of this grandiose festival. „FAITH, HOPE, LOVE…“ — the result of decades of creative activities and servings to a high art, the result of spiritual relation between musicians and conductor, the consciousness of complicity to the fate of its country and great culture.